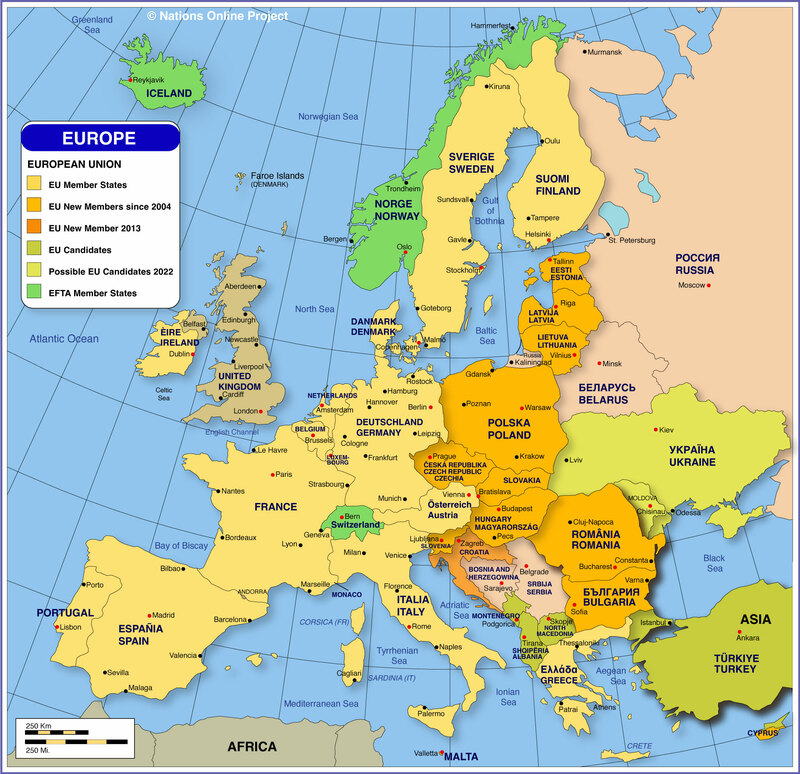 The Eurasia Review carried an article about the current European refugee crisis. It refers to the refugees in the park in Belgrade as “part of a fracture zone” that is easy to trace; across Greece, Macedonia and Serbia and on through Europe. The article acknowledges cultural anthropologist Carolyn Nordstrom of Notre Dame University as the source of the term fracture zone, in her chapter in the edited book, An Anthropology of War. She wrote that “fracture lines run internationally and follow power abuses, pathological profiteering, institutionalized inequalities, and human rights violations – actions that fill the pockets and secure the dominance of some while damaging the lives of others.” Nordstrom sees the danger of fracture zones in how they institutionalize crisis and make it enduring. An interview in the Washington Post with cultural anthropologist China Shwerz, assistant professor at the University of Virginia, covered findings from her research on humanitarian aid in Uganda. She compared two local NGOs in terms of their goals and interactions with the local people. Her recent book Having People, Having Heart: Charity, Sustainable Development, and Problems of Dependence in Uganda, argues that despite the popularity in the global aid community of the concepts of sustainability, community participation, and cost-effectiveness, Ugandan villagers view such forms of aid not as empowerment but as a refusal to redistribute wealth. In contrast, they are likely to view Catholic charity as more fitting with their own frameworks of giving. SiliconBeat carried an article about the upcoming visit to the U.S., and specifically Silicon Valley, of Indian Prime Minister Narendra Modi. It noted that academics at Stanford University, Santa Clara University, UC Berkeley, UC Santa Cruz, and other schools around the country are calling for debate about Modi’s leadership when he visits. More than 130 professors, including several cultural anthropologists, recently wrote an open letter raising privacy concerns about his Digital India initiative and questioning alleged government harassment of activists in India. According to Thomas Blom Hansen, a Stanford anthropology professor, the letter “responds to a rather uncritical adulation of Modi as a new savior of India…We feel there is an anti-democratic streak in this wider movement…The government is pushing to shut down dissent and go after its opponents in ways that are rather disturbing.” Hansen noted that Modi’s appeal to tech engineers and elites is “smart politics” as India moves toward possibly allowing Indian citizens living abroad to vote in Indian elections. “It’s very smart politics,” said Hansen. “He’s a very smart politician, there’s no doubt about that.” Hansen has studied the rise of Hindu nationalism and Modi’s Bharatiya Janata Party (the BJP). 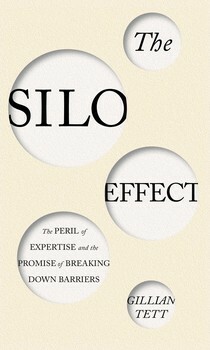 The Atlantic carried an article adapted from Gillian Tett’s new book, The Silo Effect: The Peril of Expertise and the Promise of Breaking Down Barriers. Tett, who is the U.S. managing editor of the Financial Times, has a doctorate in social anthropology from the University of Cambridge. She brings an anthropological perspective to aspects of finance and technology in the book. For example, she argues that a cultural anthropology perspective can help explain why the economic downturn of 2008 caught people by surprise by showing that experts around the world use the same mathematical models, looking for patterns in the same limited number of places. The Huffington Post posted a video interview with Tett in which she emphasizes that it is “deadly” if a company does not work cohesively. The conversation hones in on Sony and why its silos prevented its Walkman from competing with Apple’s iPod because Apple had a more seamless workplace. Tett uses the term “tribes” for workplace silos and sees them as having a negative effect on innovation. She comments on how to bust silos. ….become a novelist. Juliet Blackwell has a master’s degrees in anthropology and social work and held jobs in both fields before turning to writing. Her latest novel, The Paris Key, is about a San Francisco Bay Area woman who flees a broken marriage to France, where she takes over her uncle’s locksmith shop. …become a writer. Carol Ascher is the author of six books including a memoir, AfterImages, and a novel, The Flood. Her personal essays and short stories have appeared in the New York Times, the Hartford Courant, the Nation, and Ms. Magazine. She has received literary awards from the National Endowment for the Arts, the New York State Foundation for the Arts, and the National Foundation for Jewish Culture. She has a Ph.D. in anthropology and education from Columbia University. …become a performer of U.S. folk and traditional music and a musical center director. Katie Trautz, a native of Vermont, has toured nationally and internationally sharing traditional music and original folk songs. She has released numerous albums, two of which have won “best traditional album of the year” in the state of Vermont. She plays fiddle, guitar and banjo crossing genres with her numerous ensembles. Trautz has played alongside and shared the stage with many well-known bands. She is the co-founder and director of the non-profit folk music school, The Summit School of Traditional Music and Culture, in Montpelier, Vermont, and has been named the new executive director of the Chandler Center for the Arts in Randolph, Vermont. She as B.A. degree in anthropology from Bates College in Maine. …become a user experience architect at Intel. Alex Zafiroglu has worked for Intel in Oregon since 2004, providing insights about technology users’ experiences and preferences. She has a B.A. in anthropology from the University of Delaware, and an M.A. and Ph.D. in anthropology from Brown University. …become a professor of educational leadership. Reva Jaffe-Walter is a newly appointed assistant professor of educational leadership at Montclair State University in New Jersey. She received a B.A. in anthropology from the University of Rochester, an M.A. in anthropology from Columbia University, and a Ph.D. in urban education from the Graduate Center of the City University of New York. Her research focuses on urban education reform, teacher professional development, immigration and schooling, and education policy. Her book, Coercive Concern: Nationalism, Liberalism and the Schooling of Muslim Youth, is being published in the Anthropology of Policy Series by Stanford University Press. Declining fertility in the U.S.
Nevada Public Radio reported on changing fertility patterns around the world with a focus on the rising rate of childlessness in the United States. American birthrates are lower now than at any time in American history. It drew on commentary from biological anthropology professor Peter Gray of the University of Nevada at Las Vegas. He noted that research shows a correlation between education, income and birth rates, with more educated people being more likely to limit the number of children they have or decide not to have any children.